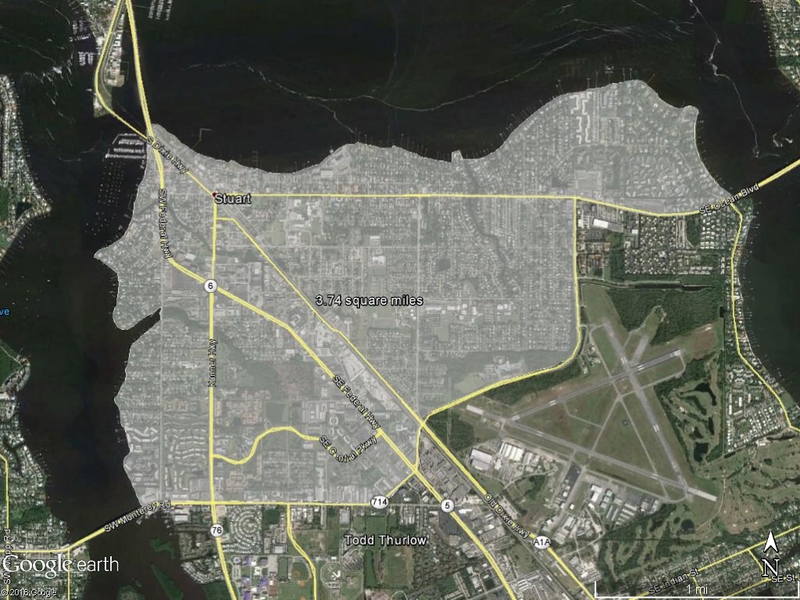 How many gallons per day is C-44 dumping in to the St. Lucie River? 1. Look in the table below for "S80 #### CFS", which is the spillway at the St. Lucie Locks. The number is in cubic feet per second (cfs). 2. Enter that number in the calculator below to convert cfs into gallons and Olympic-size swimming pools per day! This is enough to cover the Stuart peninsula north of Monterey Rd** with inches of water in one day. “Real-time” data is for the public’s general informational purposes only and is considered provisional until it undergoes the District’s Quality Assurance and Quality Control (QA/QC) process and subsequently posted on DBHYDRO. The District, therefore, makes no representations or warranties of any kind, express or implied, about the completeness, accuracy, reliability, suitability or availability with respect to web-based real-time data for any purpose. Any reliance you place on the real-time data is therefore strictly at your own risk.